When you’re in the midst of calculating your employee payroll do you ever step back and take the time to determine just how much it is costing you to have your human resources department calculate the payroll? If you’re looking for a way to save money on payroll and enhance not only your efficiency but accuracy of the payroll calculations you should look to integrate time clocks with your payroll department. Time clocks make payroll calculations quick and easy for all involved and make the payroll process more systematic. Consider an automated payroll system with time clocks to take the guesswork and errors out of payroll duties. Integrating your time tracking software into your payroll processing system frees up valuable employee time on payroll duties. When you decide to use an integrated time clock and payroll system you also allow your employees the peace of mind of knowing that there will not be errors in the paychecks. Automated time clocks also offer employees access to their time sheets so they can not only look and see the number of hours they’ve worked but they can also track their accumulated days off and vacation time used. 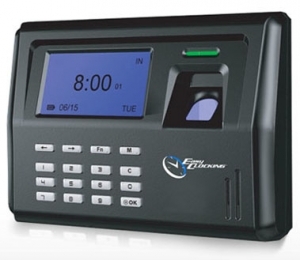 Another time and money saver with an integrated time clock is the idea that you will not only save the time and money on having to buy and maintain the time clock but you will also save money on purchasing the physical time cards themselves. Keep in mind that a company has to store all time records for up to seven years and you can see that if you have a lot of employees, the storage of time cards could be an issue as well. Here are other reasons for using an integrated time clock system is that you no longer need to manually input time cards and time worked – this is also problematic for companies that have off site employees and work from home staff. No longer will you have to worry about inaccuracies in your employees “clocking in or clocking out” for other employees. With integrated time clocks your employees have a unique log in and this prevents inaccuracies in employees punching someone elses time card. When it comes time to performing the payroll task it is almost as simple as punching a few numbers and pulling all of the employee information into the integrated time clock system and running the payroll for the time period specified. Hiring employees is a skill and an art. As an employer you need to ask some basic questions and here are some to consider: What skills do you bring to the table? Do you feel your training meshes with what we’re looking for? Are you committed to a long term working relationship? What are your salary and benefit expectations? Carefully screen employees and to assure you don’t have to keep hiring as it is a pricey proposition for any company. There is no magic cure for hiring but as a business owner you probably have good instincts and you should let that carry you through the hiring process. You need to hire employee that have the best skills but you need to be able to afford their payroll. The art of hiring is more than having bodies to punch a time clock. Keeping payroll as little of a variable as possible is a goal of business owners – you need to make payroll regardless of the ebb and flow of receivables. It’s a difficult balancing act. Company owners need to focus on long term hiring goals. Don’t hire out of panic because you have a sudden influx of work. It’s a more efficient business model to hire employees that will stay long term – unless you have a purely seasonal business model. 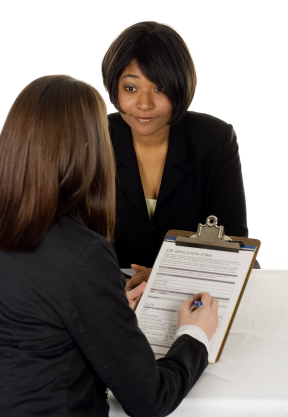 Ask potential employees their long term goals for employment and what skills they bring to the position. Track customer trends and business income and expenses and look at the work flow of your current staff. Turn to them for input on whether they’d like to take on additional roles at the company and whether they may have hidden talents you’d never considered tapping into. You may find you have employees with skills you’d not utilized and their skills could help get you through without needing to hire. The idea of hiring employees and having an additional person punching the time clock is something that strikes fear into the hearts of many a business owner. It is something that you need to look at seriously and also find a new employee who has the personality to fit in with your company culture. While you can’t learn everything about an employee in the brief span of an interview, you can certainly get a feeling for how they may fit. If you have a very rigid business structure or a very laid back one, see how the potential employee interacts with you and if you feel they will be a good fit with the rest of your staff.